A talk with the former director of the Belvedere museum, Agnes Husslein, about collecting art and the first-ever public exhibition of The Heidi Horten Collection at the Leopold Museum. Kristina Kulakova: What is the key difference between buying into a private collection and buying into the collection of an institution or a museum? Agnes Husslein: I think it is a money issue. The difficulty with museums is that they have very restricted budgets and it is the director, who decides how he or she is going to use that money. 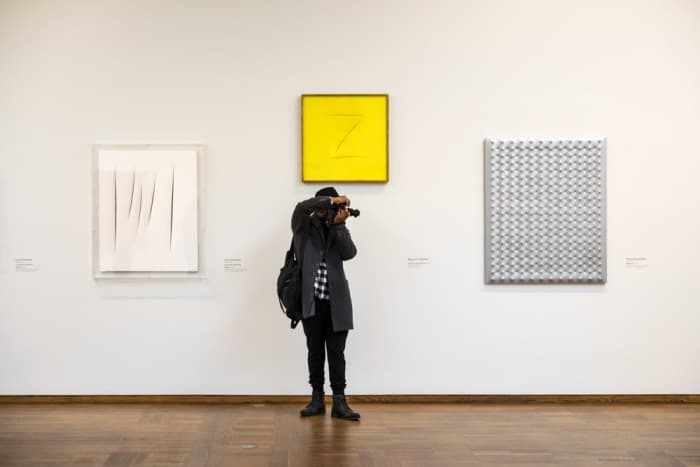 In a situation, where for example something new comes to the market and the director wants it for all costs, he or she could cancel an exhibition to save some money. This is common practice in international institutions, but not Austria. Instead, people mostly complain about the lack of money. Secondly, there is a big difference between Austrian and international museums. They both face the same problem, but international museums get sponsoring and the departments are much more active in raising funds. From my experience, the attitude towards art in Anglo-Saxon countries, in Germany or even in Belgium, is totally different compared to Austria. K.K. : And what about content? A.H.: Museums have the responsibility to show and cover the wide range of the market. When curating an exhibition about art from the 60’s or 70’s, it is always interesting to see how many artists from that era are re-discovered – and suddenly they are appreciated and seen in a new context with others. Museums, unlike private collectors, face a different situation. They cannot pick one or two artworks; they have to present a wider scale and at the end of the day, the National Museum has to be able to depict certain developments over the course of years. K.K. : Do private collectors have more freedom to engage in the risks of buying new positions by younger artists? A.H.: Museums face various restrictions, hurdles, and challenges. But I have the impression that, particularly in institutions, often the directors and their team of curators are very active and courageous – they will often just go for it and buy works at a very early stage because they believe in an artist and their ability to develop. A.H.: Of course, it is. But in order to make sensible acquisitions, you need to be very experienced and know the market, which I do after working for Sotheby’s for two decades and as a museum director for renowned national and international institutions. Based on this experience, you have to have a good eye. If you want to buy young artists, you have to observe the market developments and how the young artists establish themselves. You even need to take in account their personality because in order to be successful, artists nowadays need a whole lot of different skills and assets. This is what makes investing in young art very interesting work. Buying young art can be great for museums and for artists and I think the same can be said for collectors. You have to believe in the person and you have to be excited about their development. K.K. : How to best approach buying art? A.H.: Firstly, when you look at the artwork, you have to like it. It has to amaze you and grab you in a way. I am frequently asked that question and my answer is always the same. This “grabbing interest” moment is vital and the financial question is secondary. In this context it’s about the size of your budget: some people can spend a lot while others have to evaluate a bit more, which is fine, as long as they do not consider the purchase solely as an investment. I think that at the end of the day, with young artists, you have to trust your taste and interest – that’s the exciting part. It’s the same for museums. You accompany these artists and you see how they develop. Some will develop really well, and some may not. Nevertheless, you still have a piece or two that you love and that is the most important thing. K.K. : What do you think makes individuals collect? Not everyone wants to hang a piece on the wall. For many people, it’s enough to visit galleries and museums. A.H.: Everyone has his or her own agenda. First of all, it depends very much on their background. People who grew up with art often stay very interested and start their collection because they are familiar with it. On the other hand, there are people who have not had any contact with art at home. Some are passionate and start to follow the development of certain artists. And then there are others. In the more high-end art market, it can be only about buying art as an investment or to show off because you want to be chic. 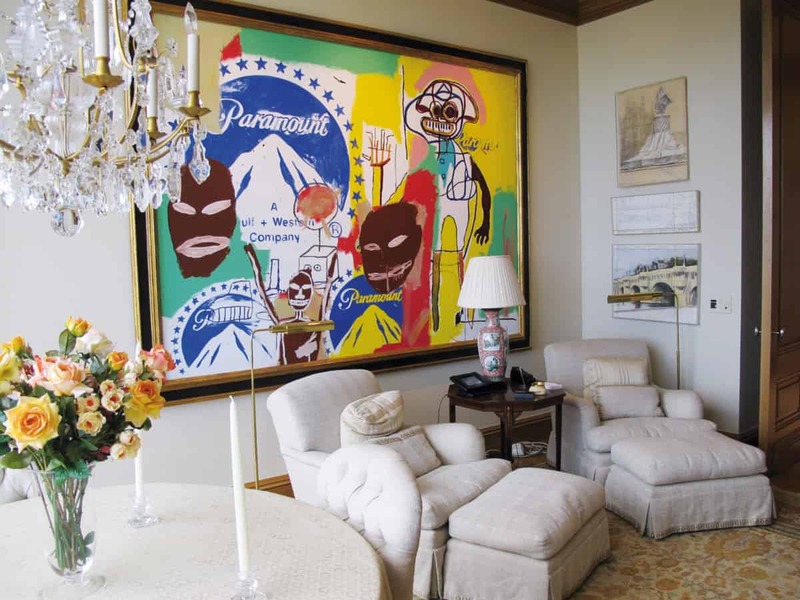 The cliché in certain privileged classes is that when you have a nice house, you should also have nice art. K.K. 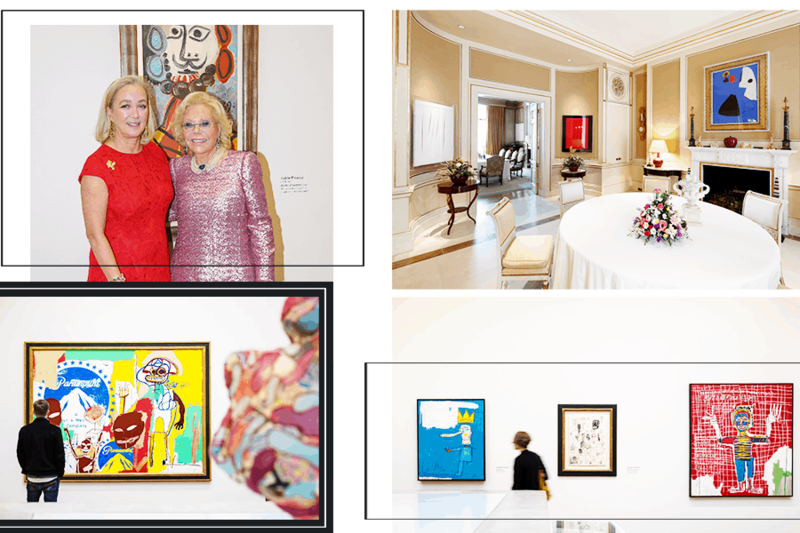 : In your opinion, this new trend to invest in art is good for the market? A.H.: To tell you the truth, I left the art market because I couldn’t stand it anymore. I was an expert for modern and contemporary art and I was part of this development. I really felt bad for the artists, and even now, when I go to international fairs and see people who buy art without any serious interest, it really annoys me. It’s like buying a car or buying a nice new necklace. With the recent shifts, there’s so much money in the art market now with completely new international markets. Nowadays, Russians and Chinese are buying the top-notch works. Museum directors hold on to the important collections but when I think of all the art that is disappearing into China or the United Arab Emirates… What can I say? Of course, there are collectors who are very serious and do their job full-heartedly. I think it should be more about people caring for art and content and less about money. When collectors love their art and let others participate then it becomes very nice. When it can teach you something — as art can widen your horizon — it’s good for the soul, for your fantasy and so many other things. Thirty years ago, very few people bought art. Now, it has become mainstream and there’s more art available. But it is the same as in any other field: there are people who care – and others who don’t. K.K. : Let’s talk about the collection and exhibition ‘WOW’, which you curated at the Leopold Museum. Were you involved from the beginning of the collection and how did you see it evolve? K.K. : Were there some works for which you didn’t bid high enough and now regret not getting them? A.H.: No, when Heidi liked something, we went for it. It was amazing! This was the case with the work Red Deer by Franz Marc, for example. But she would also listen to my advice, for example, when I thought the price was inappropriate. I’ve been doing auctions for so long now but still, when I bid, I get all thrilled. It is a big responsibility, especially when it comes to the high-end price segment. 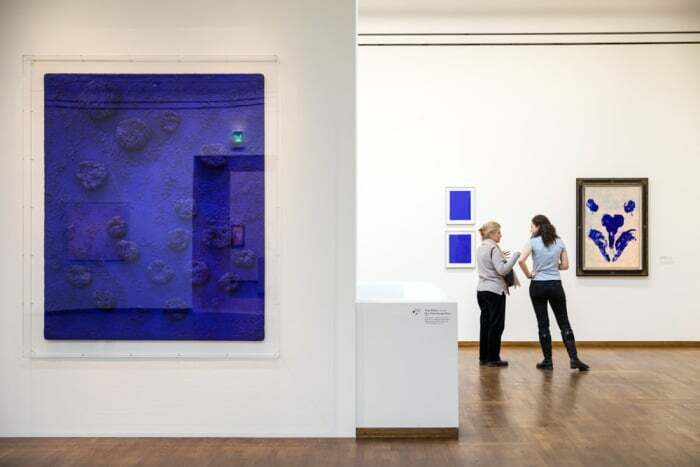 I can’t recall the details, but we certainly paid a multiple milions for the Yves Klein Sponge Relief. I have to say, we never bought the art as an investment. We bought it out of passion! To see those high quality artworks arranged in a museum exhibition now is like seeing a string of pearls. It makes me happy and relieved to see that, at the end of the day, we made the right choices! K.K. : Why has the collection never been exhibited before? A.H.: I think the collector’s decision to finally make this step into the public was a combination of her wish to share these wonderful artworks with everybody interested as well as her loyalty towards me. Heidi Goëss-Horten is a very private person; she is one of those collectors, who live with their art. It is very important for her to have the paintings in her near surroundings, and she constantly changes the hanging of the collection. In the past, we often talked about making a catalogue and suddenly the plan emerged to make a whole exhibition. I am very happy about the outcome. The exhibition has been a huge success so far, attracting visitors from all over the world. K.K. : Was it easy for you to curate the exhibition since you are so involved with the collection? A.H.: It was easy, because I know the collection very well. In the beginning, I had to get accustomed to the rooms at the Leopold Museum, estimating their size, but it quickly became very clear what had to be shown – and how. K.K. : Which room is your personal favorite? 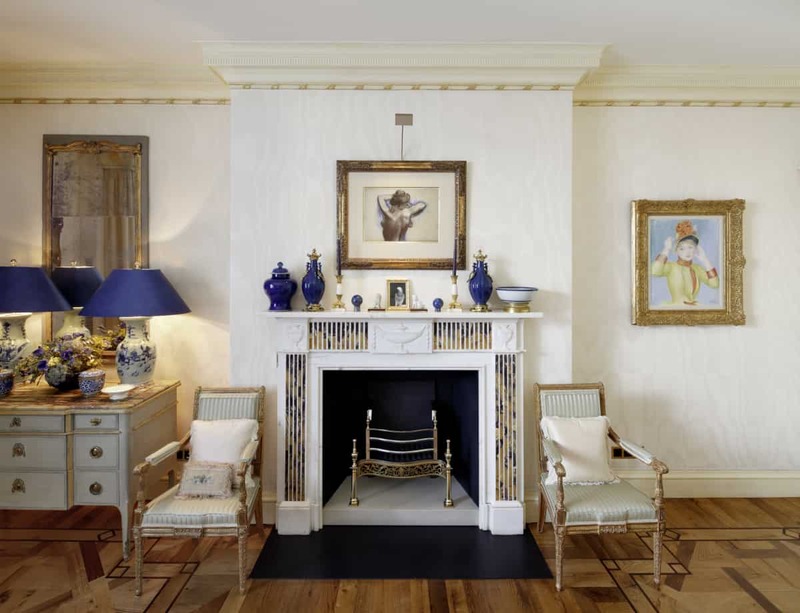 A.H.: I think the Fontana room is my favorite, but every room is special. 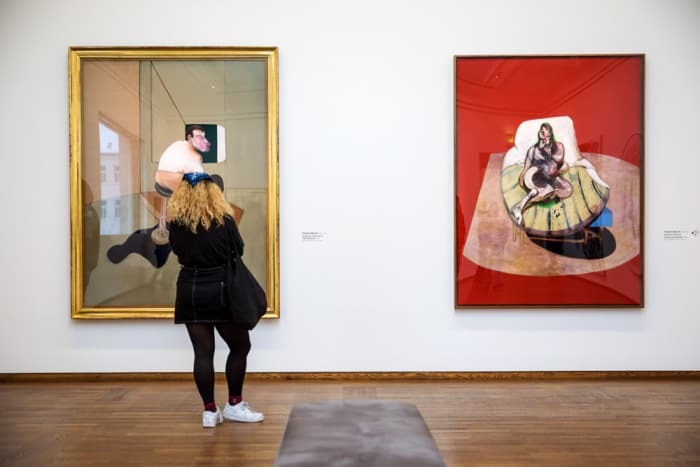 It’s fantastic that you can experience the mid-60’s art in one room, right next to it you see the Italians and the French with a little bit of Germany, and further on, you get to discover the figurative works of Basquiat and Bacon, followed by pop art. It’s amazing to see all this art history lined up and to re-discover what happened in the 50’s and 60’s. The collection is extremely strong. K.K. : Let’s return to buying art. Do you have any advice for people who want to start collecting, but don’t know how? What do you think is the best approach – is it better to first set a budget or choose a theme? A.H.: I think it’s always best to visit galleries first to get a feeling for what you like and what touches you. Every collector makes mistakes in the beginning, but there is no need to be afraid. The most important thing is to have determination, to keep an eye on the developments in the art scene and to be curious. You have to learn how to “look” – this is something you won’t be able to do from the very beginning, it’s a process. So, in order to minimize mistakes, start with smaller pieces. I think it’s not important to spend a lot of money – on the contrary! But if you have a budget and want to buy in the higher segments, it is not a bad idea to have someone to talk to. To find good art advisors however, is very, very difficult. K.K. : How come? Is the lack of good art advisors a local problem or an international one? A.H.: In the Anglo-American culture as well as in England, France, and Italy, where the art market is much bigger, you will find more professionals. Someone, who has international experience and has worked for auction houses or who is really involved in the international art market in another way. K.K. : Can galleries also advise or do they primarily want to sell? A.H.: The big problem is that galleries only have their own interests in mind and they are not neutral. K.K. : Do you think that all of these digital projects like Artsy and Artnet can be of help to collectors? A.H.: It can be helpful in a way as such platforms make the market more transparent. Having said this, you have to understand what makes a Warhol and you have to know the quality criteria. There’s a whole lot to consider before buying art. Until recently, you could buy from and rely quite well on auction houses, but their role has changed now. K.K. 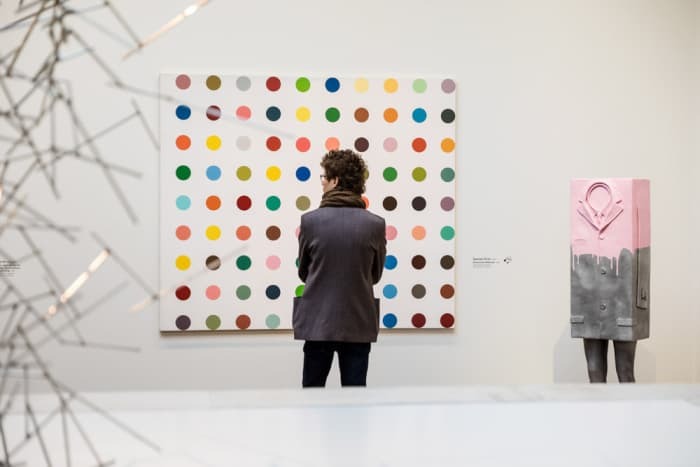 : How do you see the role of the museum in the art market? A.H.: Museums still play a vital role. Contemporary or modern museums have to find talented artists to exhibit and at the same time they need to re-discover interesting artists who have been forgotten. They also have to do research and display national artists in international contexts so you can learn about it. While I was director of the Belvedere, for instance, we did very interesting exhibitions about Austrian and international artists in the 1960’s. K.K. : Do you collect art yourself? K.K. : If you had all the money in the world, what would you buy? A.H.: I can’t say and if I knew, I wouldn’t tell you (twinkles). It would also depend a lot on the moment and what is available on the art market. My husband and I collect and our children do too, and of course, we collect within our financial possibilities by buying mainly Austrian artists. I buy what I like. K.K. : How do you know exactly what you like? Is it something that just speaks to you? A.H.: I know exactly what I want because I’ve been working in the art scene my whole life. I had very good training. You have to look around to discover something new. Not only with contemporary and modern art, but also with old masters from the 19th century. K.K. : Do you have certain tactics to keep finding new things? A.H.: No. I just walk through life with my eyes wide open. I will always see something that grabs me. This can just be a chandelier or a nice piece of furniture. I am very interested in auctions as I’m still very attached to that world. It’s important for me to screen all the catalogues to see what’s on the market. Yesterday, I discovered three paintings by an Austrian artist who is not at all young or aspiring. Finding good art is a very spontaneous act and cannot be planned like a shopping tour. K.K. : My last question is about the art scene in Vienna. Do you feel that international interest in Vienna has expanded past the Opera and Hotel Sacher and has arrived at the contemporary art scene thus making it more visible? A.H.: Vienna has so much to offer. There is a lively art scene and I’m very happy to see that. But in general, the Austrian art scene deserves more international acceptance and visibility. For ages, nothing was happening and many people working in the scene just gave up. But I think the situation is not as bad because now there are more possibilities and we have a very active young scene!